Samsung is set to reveal that it has managed to bring in record profits and it is all down to the popularity of its smartphone division. Despite the economic downturn, Samsung has managed to laugh in the face of the world's money worries and cement itself as the number one electronics brand, pushing profits up by 12 per cent in its fourth quarter (October to December). According to the Financial Times, Samsung made a profit of Won5.2 trillion in this time period, which equates to a rather impressive £2.9 billion. A chunk of this money came from the sale of its hard-disk division to Seagate (around £900 million), so the figure is slightly skewed, but it still proves that Samsung is managing to turn a sizeable profit when many of its rivals are struggling. 2011 is a year a number of electronics firms will want to forget. The likes of Sony and RIM have shown financial instability and it has also been announced that HTC has seen its first profit decline in two years. Its profit fell over a quarter (26 per cent) in the fourth quarter but it wasn't all bad news as full-year net profit was actually up 57 per cent. Samsung's profit push has come from its smartphone division. 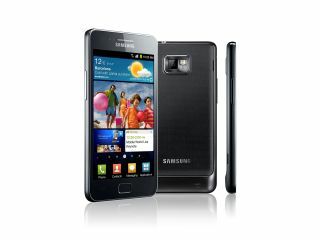 It is on track to sell 300 million phones this year with around 5 per cent of all those sold being the Samsung Galaxy S2. The Galaxy S2 isn't quite there when it comes to the popularity of the Apple iPhone, given that 4 million iPhone 4S handsets were sold in the first month but it is definitely vying with the company when it comes to smartphone dominance and trumping it when you add in sales of all Samsung handsets. This makes the continued court cases between the two companies over similarities in their products all the more prescient.